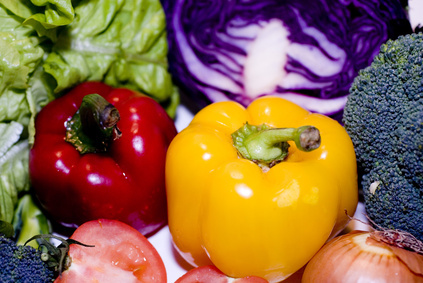 Fresh vegetables are fat-free, crisp and flavorful. Replace the fat-laden pepperoni and cheese platter appetizer. Serve fresh, raw vegetables with a dip made with non-fat Greek yogurt, not sour cream. Mix in a low-sodium version or your favorite dip mix or use your own spices, including garlic powder, onion powder and fresh chives. For dairy-free options, infuse good fat into the appetizer dish with an avocado dip or hummus in place of the yogurt dip. Cut up a red, green and yellow peppers into strips, add carrot and celery sticks and broccoli florets. Add fresh mushrooms, crisp green beans. Skip the crackers. Set up at least two drink stations, featuring pitchers of ice cold water with slices of lemon or lime. 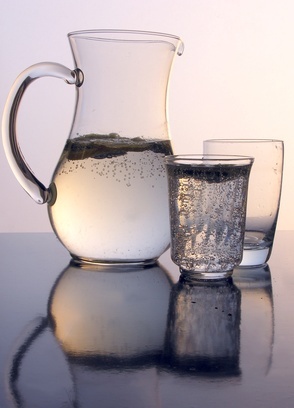 Soft drinks should be sugar-free, or serve seltzer water with a splash of fresh cranberry juice. Limit the amount of alcohol served before the meal to reduce the calorie intake for the day. Serve hot beverages including hot mulled cider, herbal tea and coffee to warm up guests. 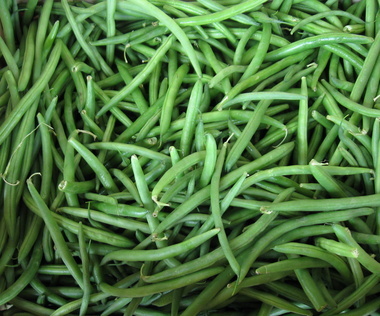 Green beans are a holiday favorite. Prepare fresh, not canned vegetables. Keep the flavor of green beans or asparagus clean by skipping the butter. Broil the fresh vegetables with freshly ground pepper and drizzle on balsamic vinegar instead. Balsamic vinegar is low in saturated fat and sodium, although it may not be the best choice for diabetics. Very little is needed to infuse flavor. Reap the benefits of seasonal vegetables by preparing baked acorn or spaghetti squash in lieu of traditional mashed potatoes. Bake the halved squash with a hint of nutmeg or cumin. Serve with fat-free chicken broth rather than butter. Hunt down the best main course for your nutritional needs. 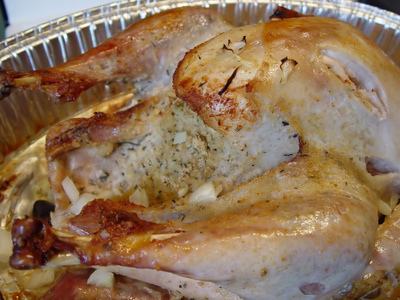 Substitute a fresh turkey instead of frozen. The turkey meat will be moister and tastier, without a lake of gravy. Because the turkey was fresh, you can freeze the leftovers without worry. Remove the turkey skin before cooking to reduce some of the fat, if you don’t mind not having a picture-perfect turkey. Keep the turkey covered to maintain moisture. Cook a full turkey breast rather than a whole turkey to avoid the dark meat, which contains more fat and more calories than the white meat. 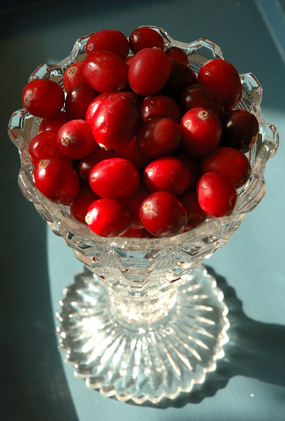 Fresh fruit adds a light touch to the holiday meal. Keep the fattening extras away from the Thanksgiving table. Make fat-free gravy for the turkey. Serve a fat-free chicken or vegetable broth instead, in the gravy boat. Limit the amount of real butter you set on the table and consider using a butter substitute if you need to include it on the table. Leave out the white rolls. Serve whole wheat bread or skip the bread completely. Bake pies which have the least amount of calories and fat for dessert. Pies with the lowest to highest fat content and calories are pumpkin, apple and pecan. Serve a fresh fruit option for dessert, with one or two lady’s fingers and a dollop of fat-free whipped topping. Limit the mini muffins, cookies, fudge and homemade chocolates, which guests may mindlessly eat while waiting for dessert to be served.